It’s Fairtrade Fortnight 2018 and we have already seen so much wonderful collaborative work between the Co-op and local schools. 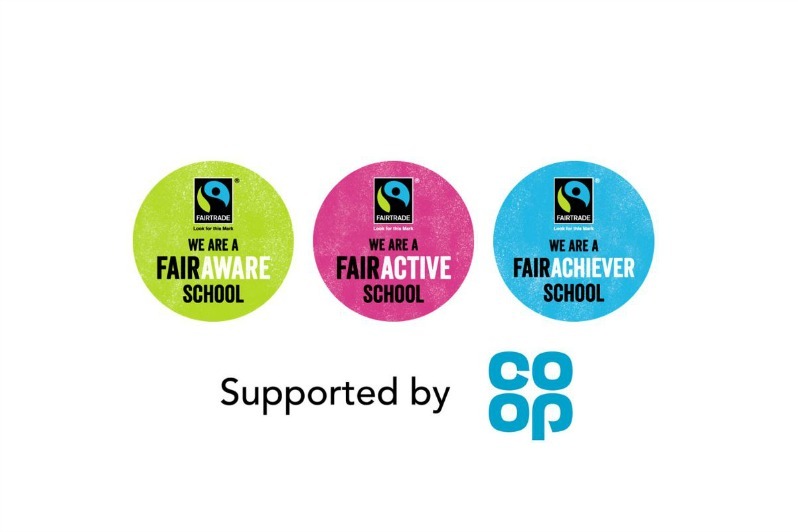 The Co-op sponsor our Fairtrade School Awards so it is no surprise that we are seeing collaborations with schools all over the UK. Yet, who could have predicted the scale of this, the enthusiasm of staff and students… and the sheer range that we are seeing? With our new videos, games and lessons all themed on the Coobana banana cooperative, who Co-op were instrumental in bringing into the Fairtrade system, there is no better time to combine Fairtrade with co-operative learning and games, in order to build partnerships between schools, the Fairtrade Schools Team and Co-op stores. Together we can help more schools gain Fairtrade School Awards and educate a new generation about global co-operation, sustainable agriculture and fair pay. Here are just some of the ideas we have seen so far. Scroll down to see the wonderful pictures. So, last year, Charlotte from Newnham Croft Primary School designed this #Fairtrade #Chocolate bar wrapper. Dosbarth Mrs Phillips yn chwilio am logo Masnach deg. Mrs Phillip’s class looking for the Fairtrade logo. Fantastic colleagues from @Newyorkst_coop and other local Co-op stores visited, to tell us all about Fairtrade. It was a great assembly all about bananas!